At Texas A&M University-Commerce, soldiers, sailors, airmen, and marines are an important part of our legacy. We appreciate your service and sacrifice, and are committed to your successful transition from military to civilian life. This commitment includes helping you build on your strengths so you can achieve the well-respected bachelor̠s or graduate degree you deserve.We realize a great education is about more than attending class. It̠s about making friends, memories, and a name for yourself as someone who̠s passionate about learning. 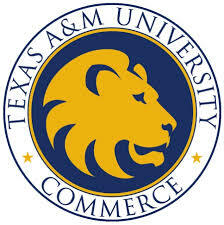 Earning an A&M-Commerce degree and being part of the Texas A&M University system will not only look good on your resume, it will give you the confidence you need to compete in the marketplace.